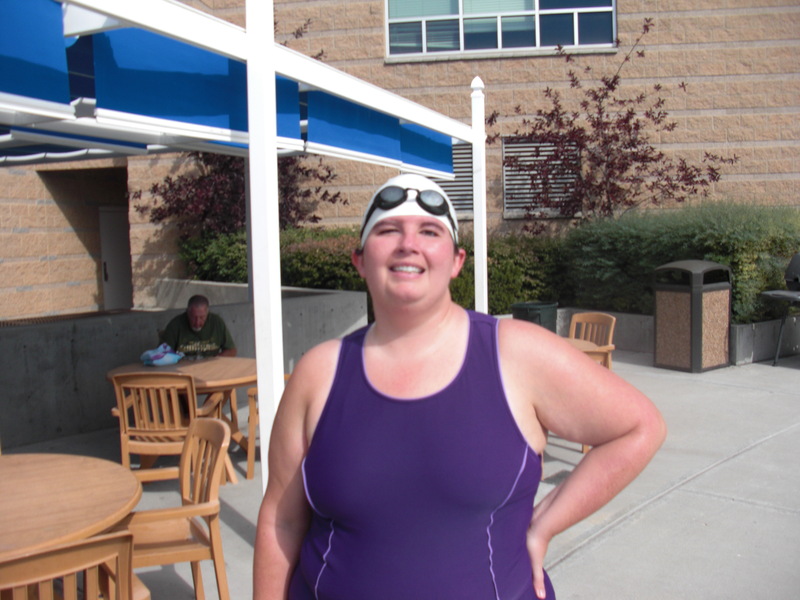 I am a Masters swimmer! Today was another landmark day in my fitness quest! 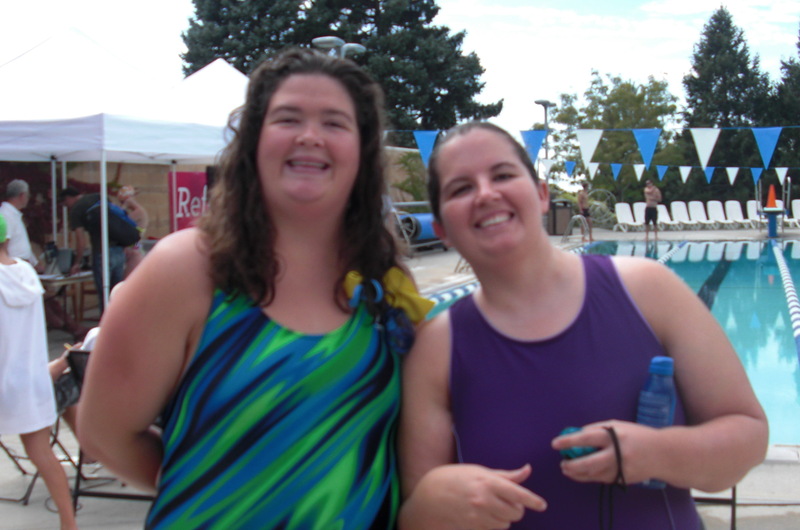 It was my first US Masters swim meet. I have not been in a swim meet since 1998 when I was in high school. What a great thrill to be back on the starting block again competing! Now the question is why did it take me 12 years to find out about this great organization? I guess you find out about things when you are ready to embrace them in life. Anyway, back to the meet. Since I had been sick all week I felt anxious about whether I would be able to participate. Even this morning I woke up with a sore throat, phlegm and a lot of congestion. However, anyone who knows me, knows I don’t give up easily! 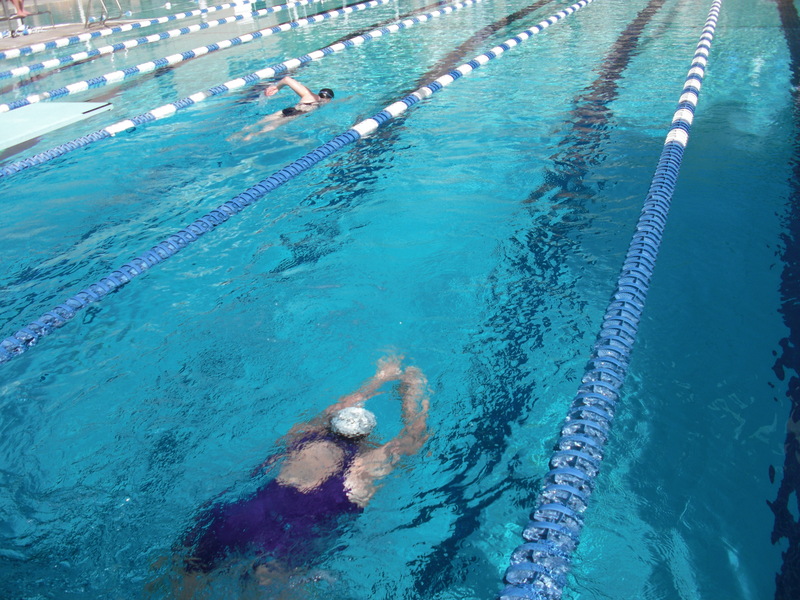 I decided I felt well enough to at least go to the meet, and at minimum, swim the 50 free (for non-swimmers that’s one lap in a typical pool). 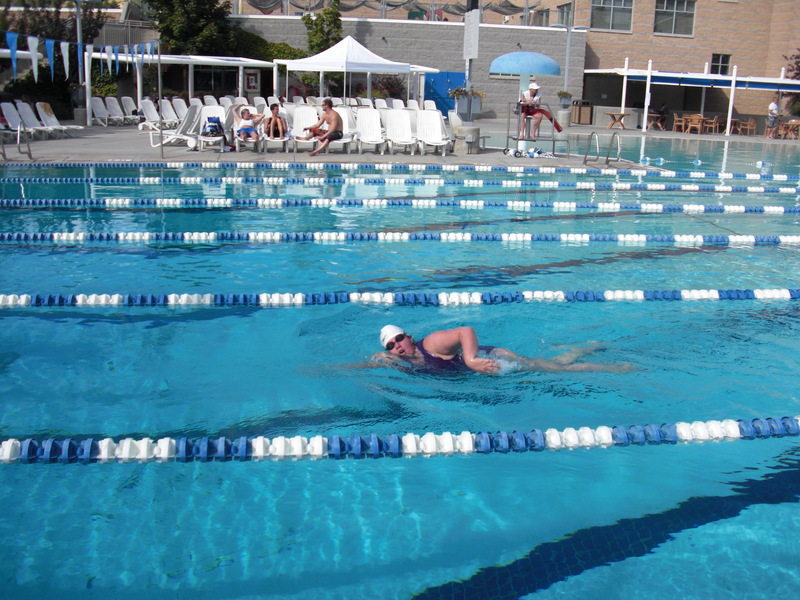 The meet was held at the JCC (Jewish Community Center) in Salt Lake- actually called the Jeanne Wagner Jewish Community Center- that’s right Wagner! I didn’t know Wagner was a Jewish name- pretty cool. Anyway, there wasn’t a huge attendance but those who gathered were wonderfully encouraging and fun. I have been so impressed by the swimming community in Utah. 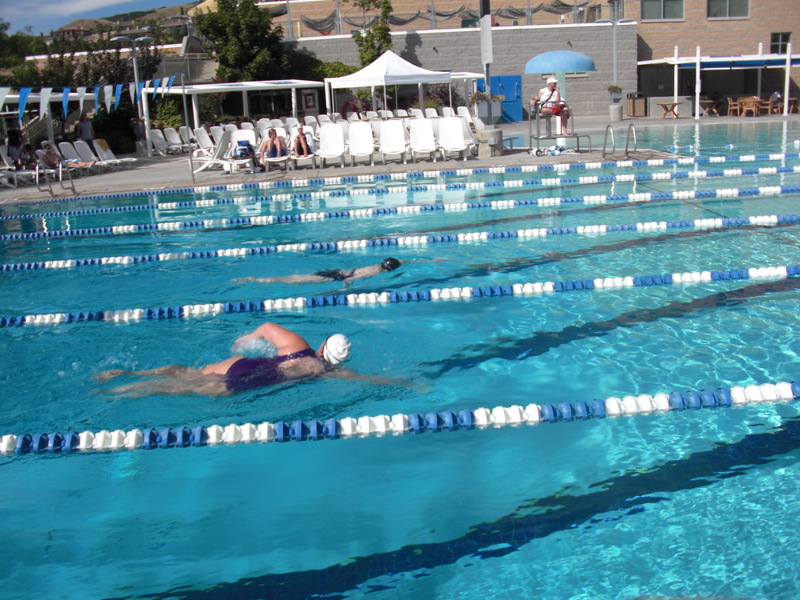 There were even some college-level swimmers there; and they were really nice and welcoming. 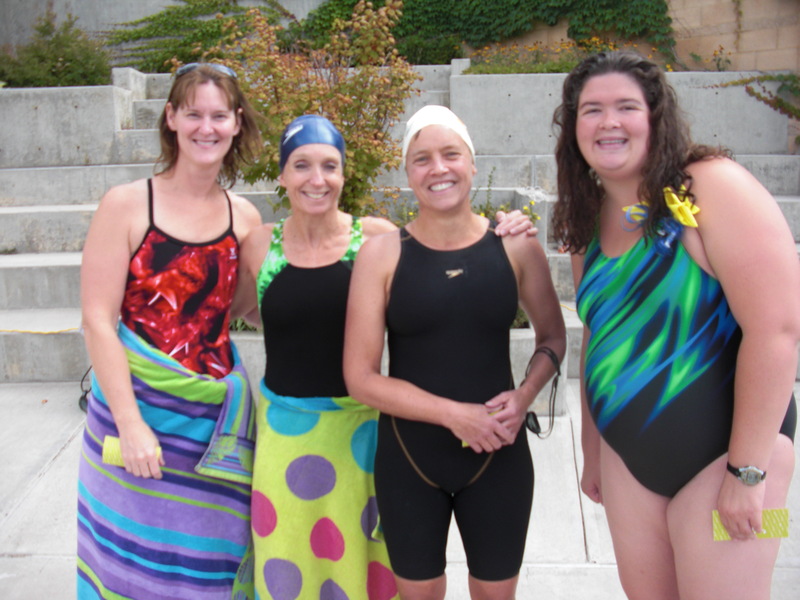 In fact, one group invited me to join in their swims (its about 25 minutes away but I may get there!). The hardest race was the 400 meters (or 8 laps). By about lap 5 my lungs were burning and I wondered if I could get through but I pushed onward. It was really hard but I made it to the end. I even got almost all of my flip-turns and starts in (the diving platforms were much higher than I remember them being in high school- I would say around 2 ft up!). Since I have only done about 5 flip-turns in 13 years I felt proud in pulling off so many. It was a fun day and I think a day my young self would have loved. Its hard to explain, but I feel like in embracing swimming the way I have in the last few months I am now the best version of myself I’ve ever been. I look great, feel healthy (I think I actually felt endorphins today!) and am having the time of my life! It seems especially meaningful on a week where nothing went right and my body was fighting me all the way. Hurray for completing goals!!! Thank you to all who volunteered their time to help put on the event on and all who cheered me on. so cool Rachel!!! makes me want to swim! thanks you guys! It was a great day!